Sans Rival Sandwich Bites | sandwich surprise! The Sandwich Surprise: With Thanksgiving just days away, I had a special dessert on the brain: Sans Rival Sandwich Bites. Sheets of baked meringue alternate with healthy smears of buttercream frosting, and every layer is studded with chopped, toasted cashews. The cake is frozen and served cold, highlighting the crunchy of the meringue and the almost ice-creamy sweetness of the icing. If I had been a savvier child, I might have requested Sans Rival for every birthday. Alas, in reality, I’ve only had this buttery, sugary, nutty deliciousness a few times in my life. 2) I tweaked the usual frosting recipe — straight-up buttercream is not my favorite — by subbing in a little cream cheese for some of the butter. The Verdict: “I’ve never had Sans Rival before, but it’s really good,” said Elaine, a transplant from Texas. “The cream cheese is great, because it makes it creamier but not too sweet,” said Mary Margaret. “You did a good job,” added Michelle. 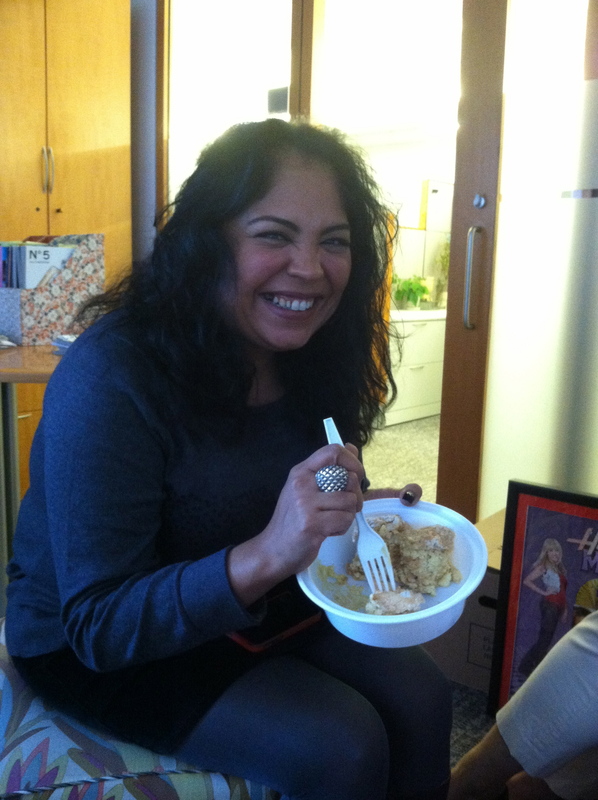 Then we got to talking about tres leches, the Mexican special-occasion cake, and made a dinner date for Mexican food. Because the only thing better than eating with friends is planning for future eating with friends while eating with friends. 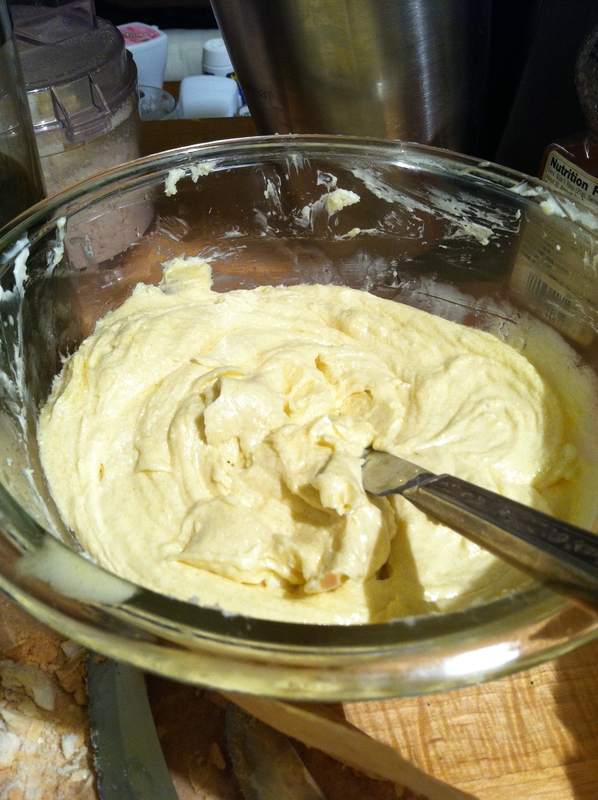 Using a hand mixer on high, beat 6 organic egg whites in a medium glass bowl until frothy. Add 1/2 t. of cream of tartar, then slowly pour 1 cup organic white sugar while mixing on high speed. Continue until mixture is glossy and you can make stiff peaks with it. Fold in 2/3 c. toasted, chopped, unsalted cashews. Line a 12″ x 18″ baking sheet with parchment paper. Pour mixture onto paper, then spread evenly onto the sheet using a spatula. Bake for 40-45 minutes, or until the meringue is a golden brown. 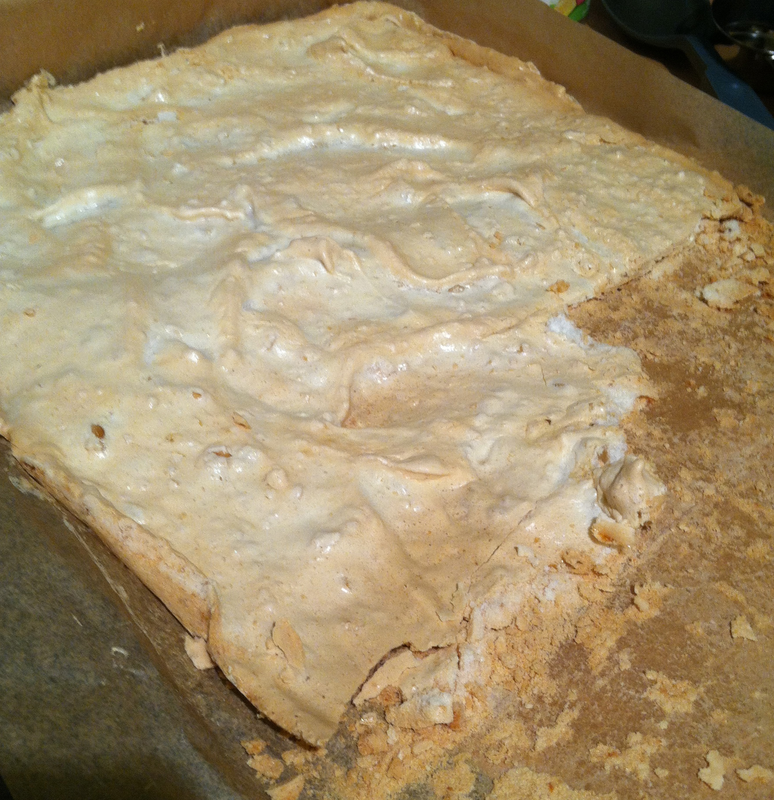 Remove meringue from paper onto a cooling rack. For the frosting, soften 2 oz. of cream cheese with 6 oz. of unsalted organic butter. Using a hand mixer, briefly whip in 2/3 cup of organic white sugar and 1 T. vanilla extract until fluffy. The traditional recipe calls for 6 egg yolks to be added to the frosting — you can omit this if you like, since it’s kinda a pain in the neck. But if you use it (I did), boil 1/4 c. water with 1/3 c. organic white sugar and heat until it reaches 250˚ on a candy thermometer. Then whip the yolk mixture into the butter mixture until fully combined. 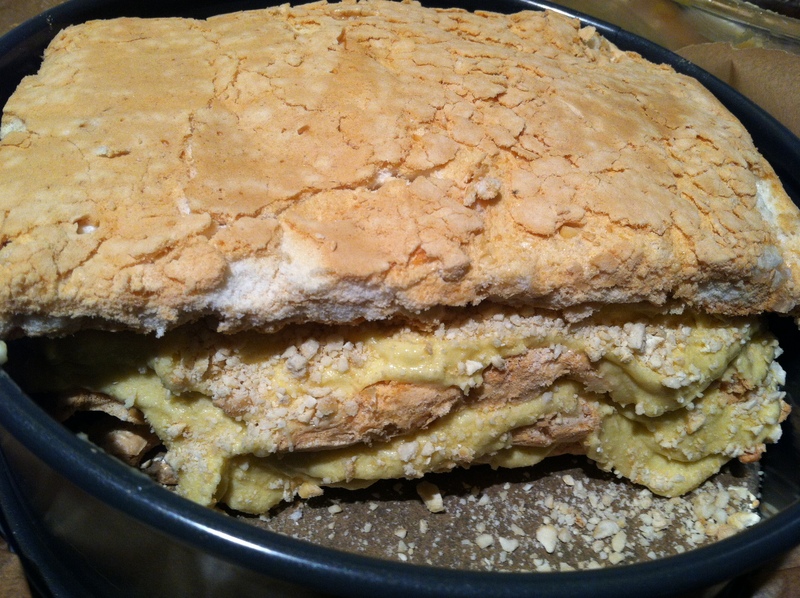 Once the meringue cools, cut two 8″ x 8″ slabs. Set aside one slab, and fold the other in half with the stickier side in the middle. Place in a cake pan lined with parchment paper. 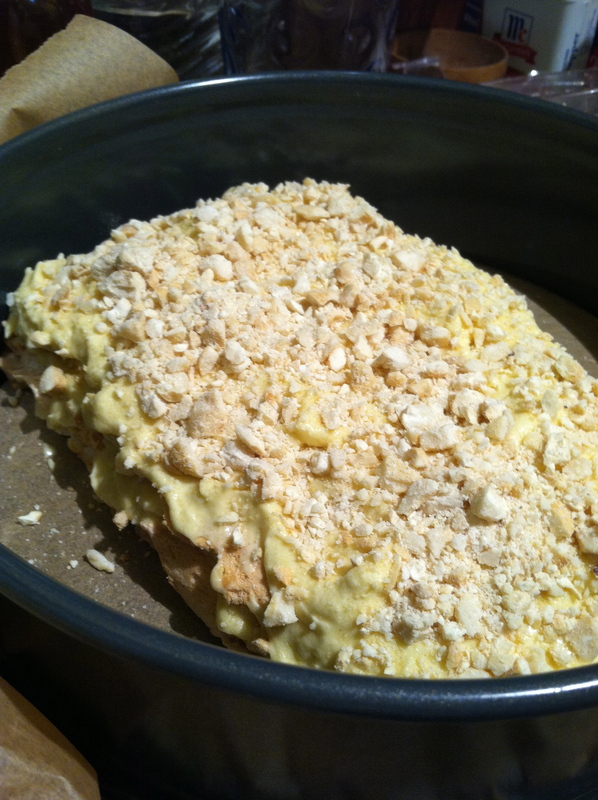 Spread frosting on this layer, then sprinkle with more toasted, chopped, unsalted cashews until fully covered. 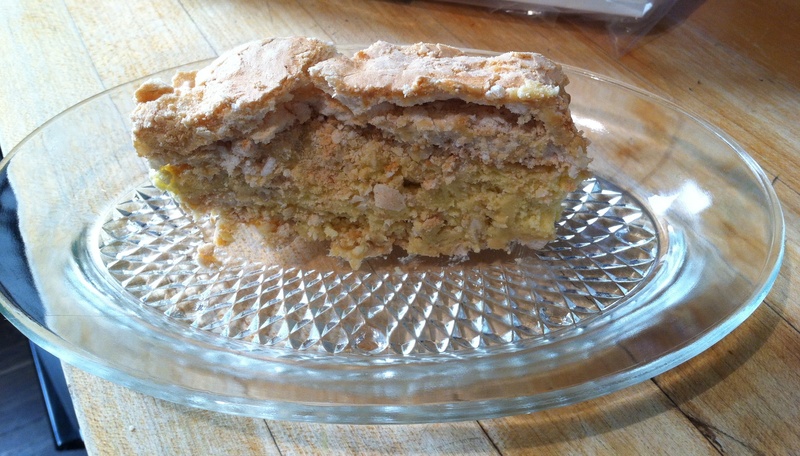 Break off pieces of the remaining meringue and layer on top of the nuts. Then spread more frosting until covered and sprinkle more nuts. Repeat until you run out of frosting. Fold the second slab in half and place atop the last frosting layer. Cover with parchment paper and wrap tightly with foil. Freeze for at least 4 hours. *Let’s Lunch is a fun group of food bloggers from all over the world. We have a virtual lunch date every month via Twitter (#letslunch) and share each others’ food adventures on a new topic each time. Here are the other Let’s Lunchers’ posts! Please check here throughout the day for more birthday-themed links to Let’s Lunch’s bloggers! OH my god. These look so good! I can’t wait to try this!! I am drooling and dying here. Totally love this. It’s sans rival yet mini sized. These are like those Silvanas. Absolutely divine. Thanks for sharing. Fun doing Let’s Lunch with you! Oh wow this looks divine! This sounds like a dream. Like a frozen, layered pavlova? Sweet jesus. ummmm this is like my IDEAL cake. Kinda meh about cake, but nuts and meringue are my fav. Will try to make this holiday season!! Me too re: cake. If you try it, would love to hear how it turned out. Also, I’m steadily making my way through Cooks vs. Cons. Can’t wait to watch your ep!